Unicorns are a popular party theme among children these days, especially young girls. They are attracted by the majestic persona of the unicorn along with its bright yellow, pink and blue shades. 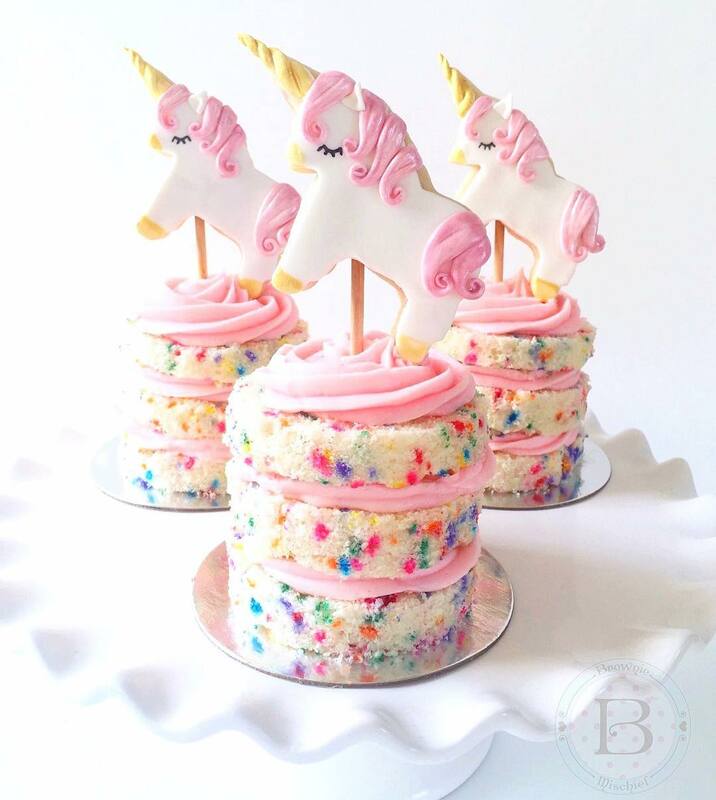 Are you one of those parents who is struggling to plan a vibrant unicorn themed party for your little boy or girl? 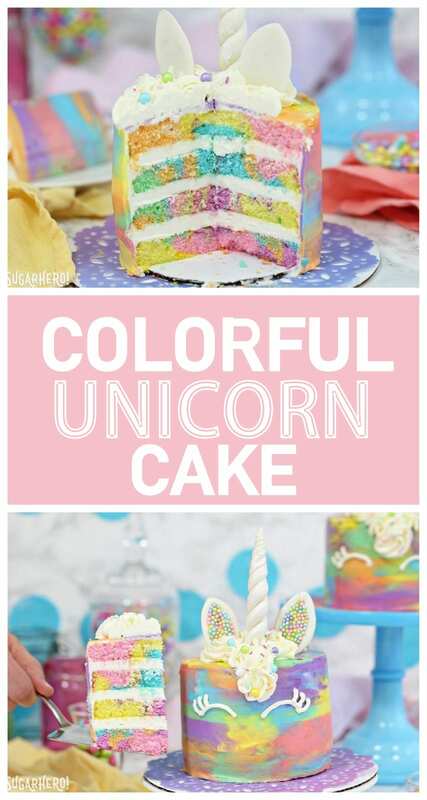 Well, we’ve compiled a list of +12 unicorn party cake ideas to make this challenge easy for you. 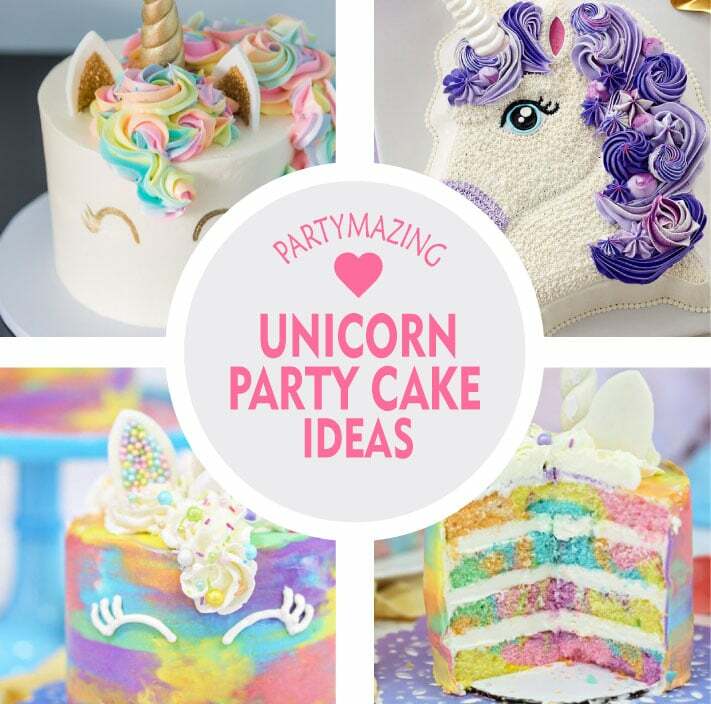 Check out these wonderful cake ideas for a unicorn birthday party. We bet your children will love them! 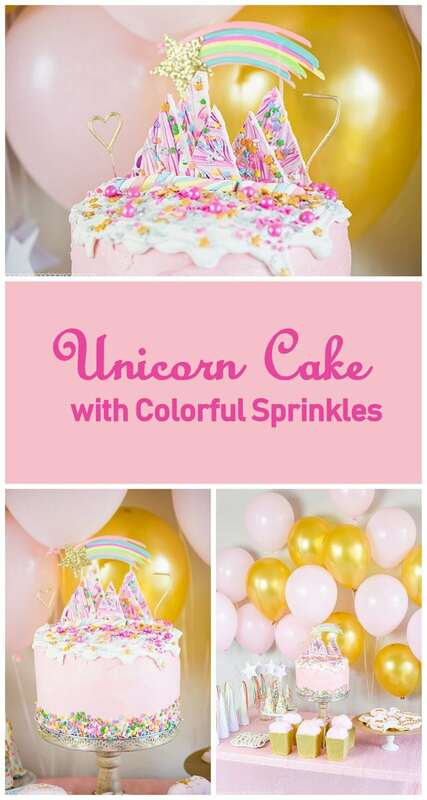 For a unicorn birthday party, you can make a gorgeous layered cake, beautifully decorated with shimmery pink frosting cream and rainbow sprinkles. 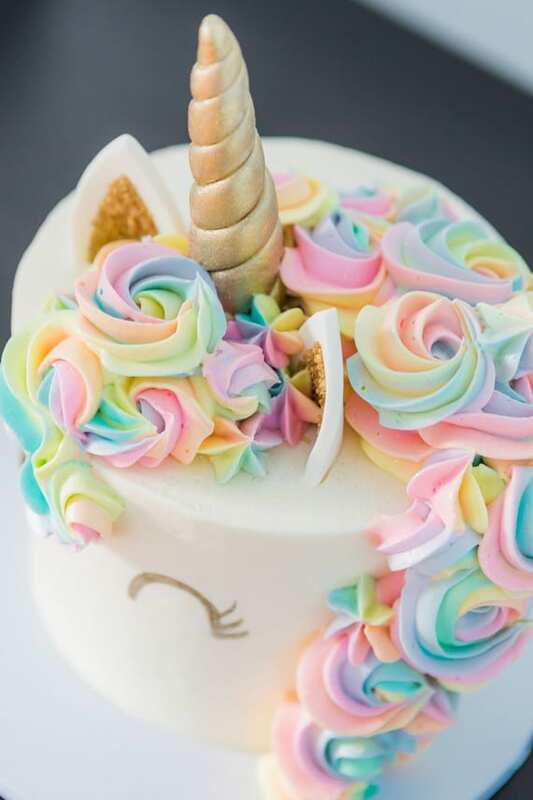 To add life to the unicorn party cake, you can melt some white chocolate at the top and create unicorn horns using sugar cones dipped in melted white chocolate. 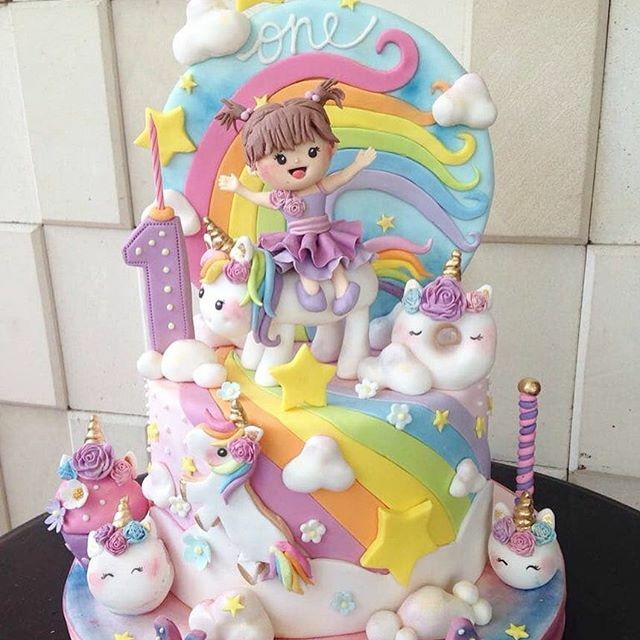 You can also add a rainbow candy to complete the unicorn theme. 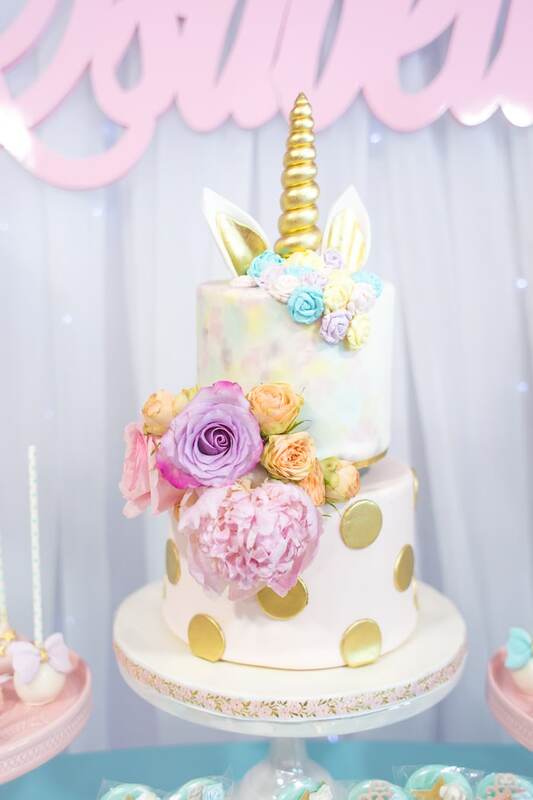 Another 12+ unicorn party cake is a multicolored fondant covered cake with edible golden dust. 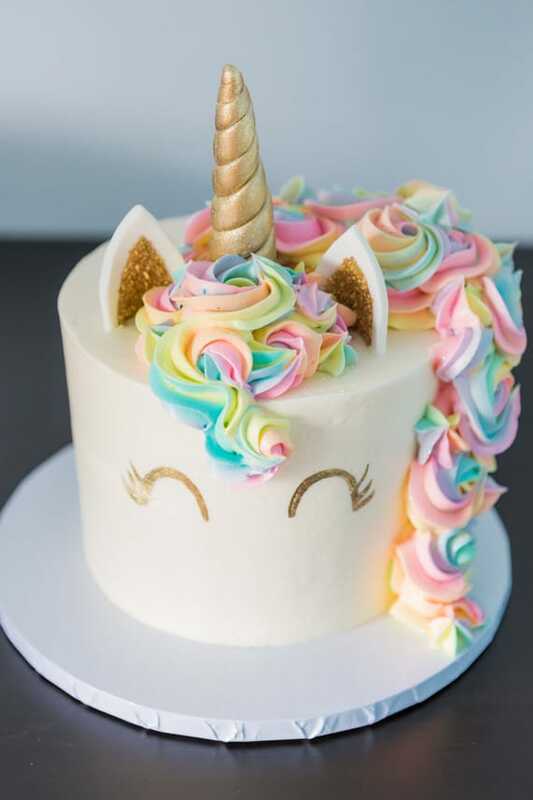 You can cover the entire cake with three layers of buttercream and use colored (blue, green, yellow, pink) swiss meringue in a piping bag to create the elegant mane. For the ears you can use white chocolate wafers covered it with edible gold dust and to make the horn you can use a sugar cone dipped in gold dust. The eyes can be created using a thin brush and golden shimmer. 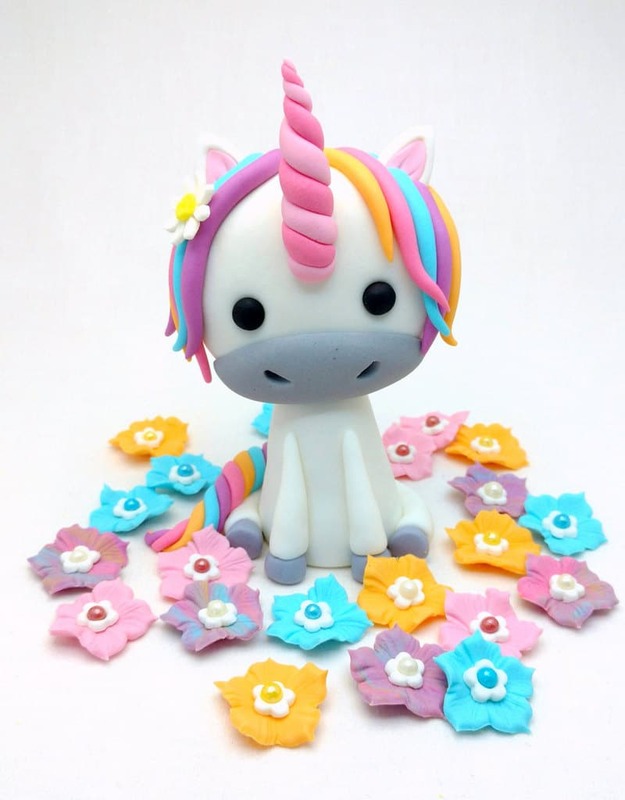 The bright mini rainbow unicorn cake is a delight to the eyes. 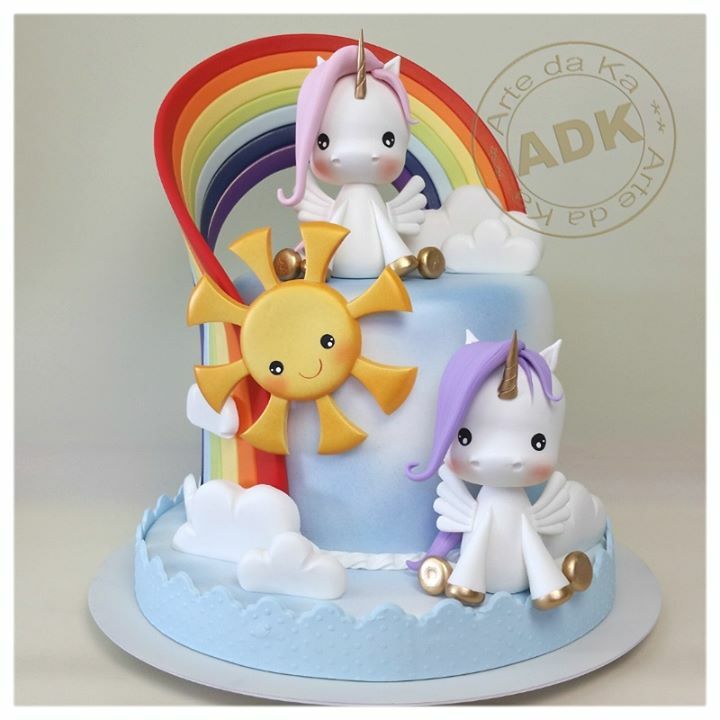 Decorated with large swirls of vibrant rainbow shades, this unicorn party cake is a must have for your kid’s birthday. For the interior of the cake, you can color white cake batter with different pastel shades and swirl them with each other in baking containers to achieve a multi-colored cake interior. To carve out the ears and horns, you can use fondant, preferably marshmallow fondant and spray them with food coloring sprays. You can further decorate the ears by sticking mini pearl sprinkles and painting the inside with corn syrup. This is a four-layered vanilla buttercream frosting unicorn party cake. 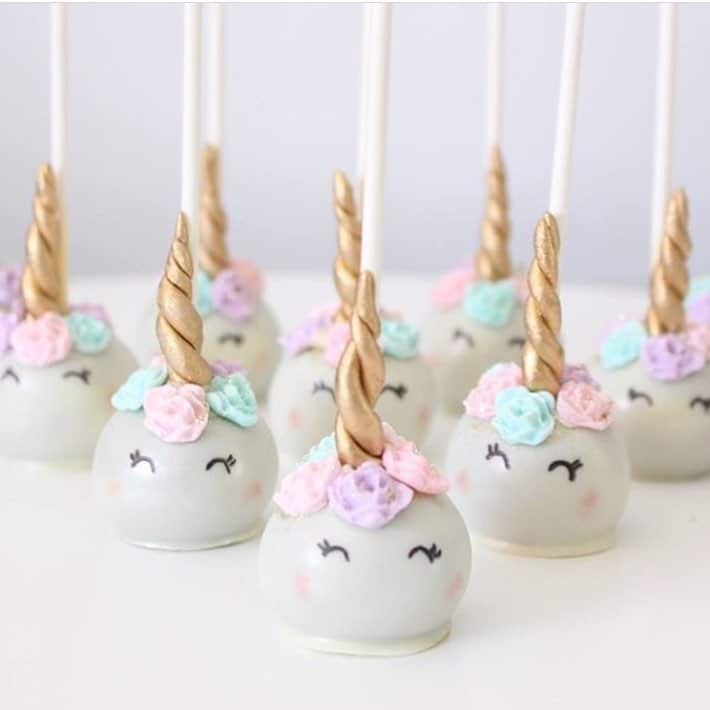 To create the unicorn horn, all you need to do is spread a thin layer of the frosting over a perfectly rolled sugar cone and sprinkle it with candies and sprinkles till it is completely covered. You can also make the ears by rolling the fondant, painting it with vodka and sprinkling it completely with disco dust. To create the mane, you can curl delicious rainbow candy strips and place licorice pieces to make the eyes and eyelashes. 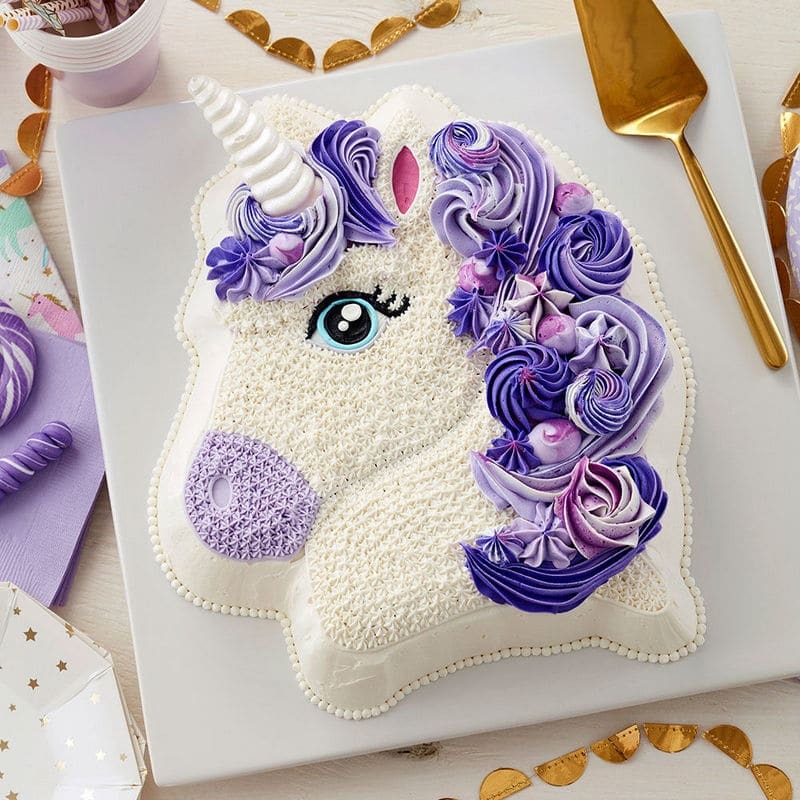 Make your kid’s birthday party special with this gorgeous purple unicorn cake! All you need is a pony-shaped cake baking pan and purple food coloring. 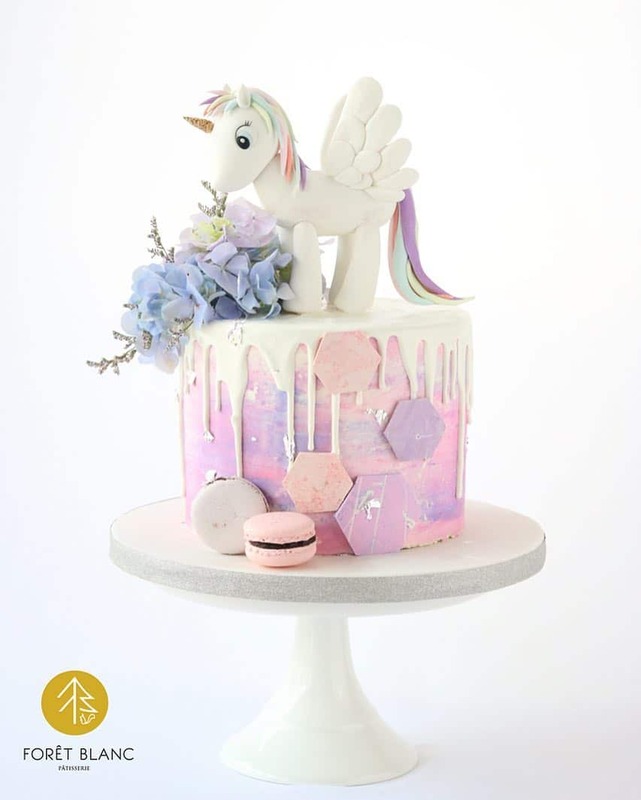 The entire cake is created using a variety of piping techniques, including the royal mane decorated with different shades of purple color. We’re sure your little princess will love this one! 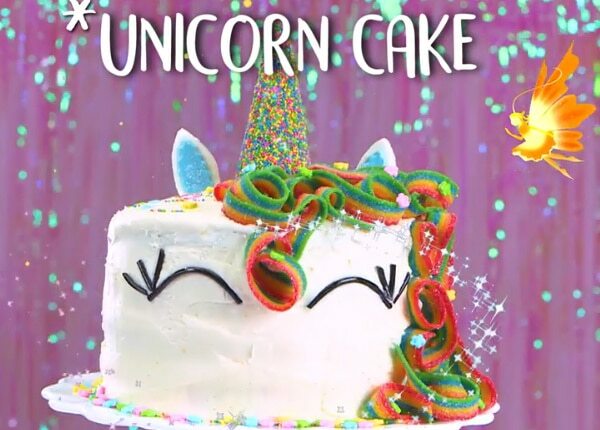 Here I have some extra Inspiration for your UNICORN CAKE! That’s true. 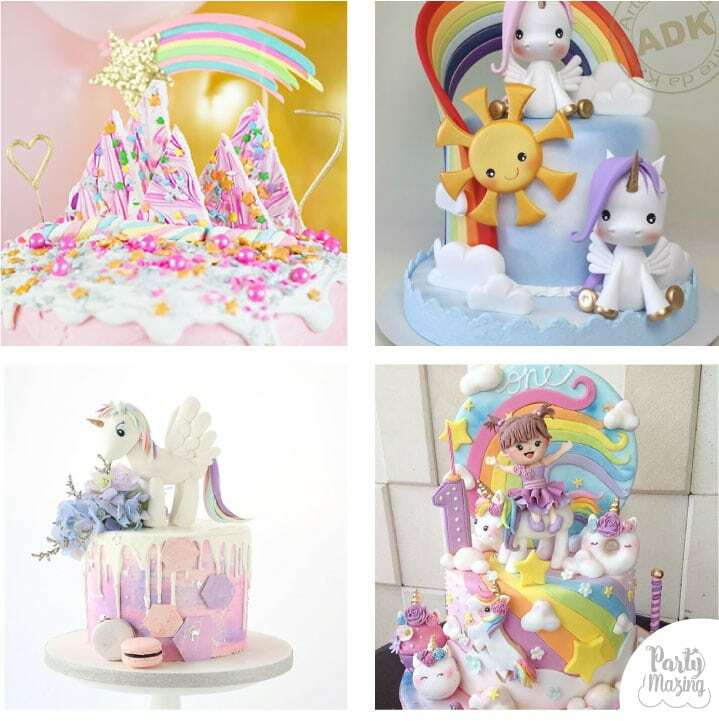 The most important aspect of a unicorn themed children birthday party is a fabulous unicorn party cake which is not just a treat to the taste buds but a delight to the eyes. Choose the one that your child will love and start preparing it!